Vijay Anand is a filmmaker known to this generation primarily as the director of noir thrillers — like Teesri Manzil (1966) and Jewel Thief (1967) — that inspired new-age director Sriram Raghavan. But Anand’s filmography is too broad for a critical analysis that reduces him to a single genre, and it most certainly doesn’t end at Guide (1965), an evergreen classic. 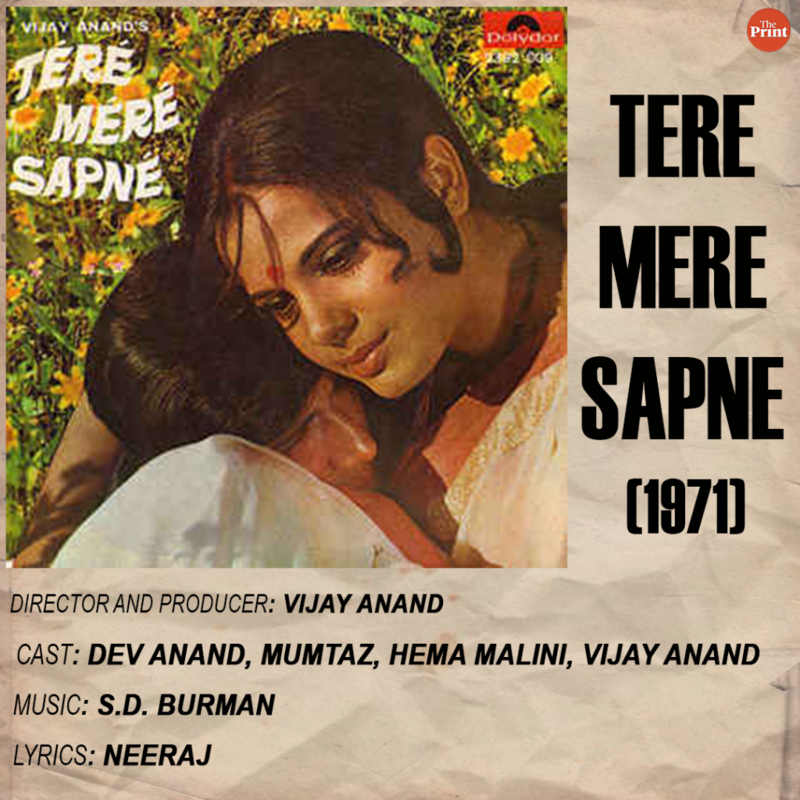 In 1971, the year following the release of his pulp thriller Johny Mera Naam, Anand reteamed with brother Dev Anand and Hema Malini, along with Mumtaz, to create an intimate portrait of marriage and partnership, disguised as a medical drama, in Tere Mere Sapne. The soaring work of Vijay Anand, whose 85th birth anniversary was observed early this week, is on complete display in this largely overlooked film — from lush song picturisation to good drama to a gripping narrative, it had everything. Dedicated to the medical community, the film starts off with a young, idealistic MBBS doctor Anand Kumar (Dev Anand, a couple of years too old for the role) moving to a village near a coal mine. The initial set-up stretches are dull, with a lot of sermonising by Anand Kumar to his cynical and wayward colleague at the local dispensary, Jagannath Kothari (Vijay Anand in a fine character). During his tenure at the dispensary, Anand meets a local school teacher, Nisha (Mumtaz) — he falls in love with the headstrong woman while she takes to his idealism. But the film doesn’t reveal this immediately and waits for the right moment, which comes when Anand is forced to find himself another job. The new job requires him to be married. The director slowly builds the drama towards this point, establishing the characters who are going to inhabit the space hereon as the film takes a more personal tone. When Anand proposes marriage to Nisha, she declines for a moment, but just when he turns around to leave, sings to him. Lyricist Neeraj, whose profound work (alongside composer S.D. Burman for a great soundtrack) in the film calls for a separate piece, then gives Nisha words to express her love and admiration for the ‘idealistic’ suitor in ‘Jaise Radha Ne Mala Japi Sham Ki’. Vijay Anand opens the song with a delightful track shot with changing focus, as he frames the two love birds to justify Neeraj’s devotional imagery. The depiction of intimacy in the early days of a marriage through the song is remarkably fluid filmmaking, the kind that’s hard to find in self-conscious modern-day Hindi films. As the couple moves to a new village, the harshness of the broken Indian system hits them (monetarily), testing their marriage in its early days. The two stand by each other, dreaming their dreams together. In the song ‘He Maine Kasam Li’ — shot in bright mustard fields long before Dilwale Dulhania Le Jayenge (1995) — Neeraj gives shape to their dreams. Life, of course, plays out at odds with their dreams and Vijay Anand examines the strength of their relationship and Anand’s idealism through Nisha’s miscarriage. While she loses hope, Anand sticks by, although his devotional love for the medical profession is now compromised. Money is God for him now. As he runs after money in Mumbai, he comes across film star Maltimala (a brilliant Hema Malini as the archetypal depressed film star). Anand befriends her, but the relationship is free of romantic undertones from his side — not hers. The strain in the marriage starts to show. She suspects infidelity on his part, he is largely indifferent to her needs. 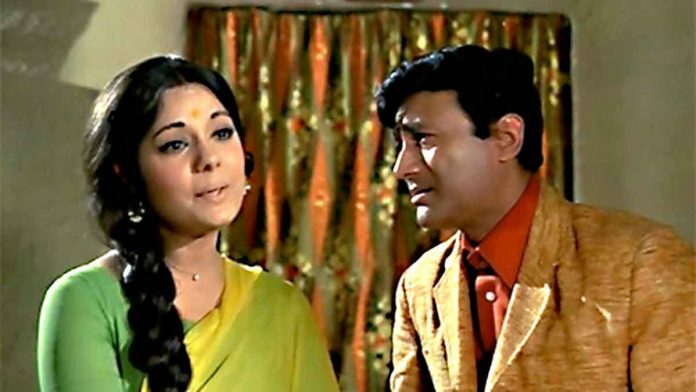 Vijay Anand then uses the mirror situation of another possible miscarriage to dramatise the redemption of Anand and the survival of his marriage with Nisha, despite all odds. Many films from that era have dealt with the idea of collapse of idealism in the face of an unjust system, most notably the series of Angry Young Man films that began two years later. This film, too, targets leaders and system for this cynicism (there’s even a mention of the Congress in the song ‘Suno Re Suno’) through the character of Dr Kothari. But more importantly, Tere Mere Sapne is most fertile when it depicts the intimacy of a partnership and the complexities it brings within a marriage for two individuals. True to Vijay Anand’s forward-looking philosophy, as evident in Guide, Tere Mere Sapne doesn’t relegate Nisha to the background after marriage. It is a relationship between equals. It probes both its male and female protagonists, seeking some truth in the overdone romantic stories of the time. There is dignity in her relationship with her husband — flawed beings in a complex world. Marriage is not easy on young people looking to a brighter future. In a country like India, it’s even harsher with several other identities at play at the same time. Tere Mere Sapne is a not a subdued drama — it resides in the pure Hindi film format — but it contains truth about the marital partnership that is as relevant today as ever. It’s also a testament to the artistry and modernity of Vijay Anand, a filmmaker who was more than just a noir director. Why pick one nondescript film out of thousands of nondescript films, decades after it was burried, and spend time and space over it?! The novel was adapted for no less than 9 films (4 in English), as befits a novel with a universal theme. Besides, Neeraj and S.D. Burman also made an immense contribution to this film – you may say the original part. Mumtaz already had done many good and serious roles before this film e.g. Khilona . Dev Anand was the eternal charmer, of course. The film was based on Arthur Cronin’s The Citadel; Bollywood has been as comfortable with borrowing IPR as the Chinese. Mumtaz started off on the fringes of Bollywood. However, this was one of the films that helped her make a very graceful transition to the top.